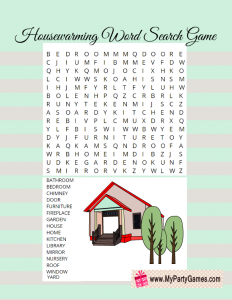 Today I made this Free Printable Housewarming Word Search Game with the solution. I have made this game in 3 different designs and people from all age groups can play this game. 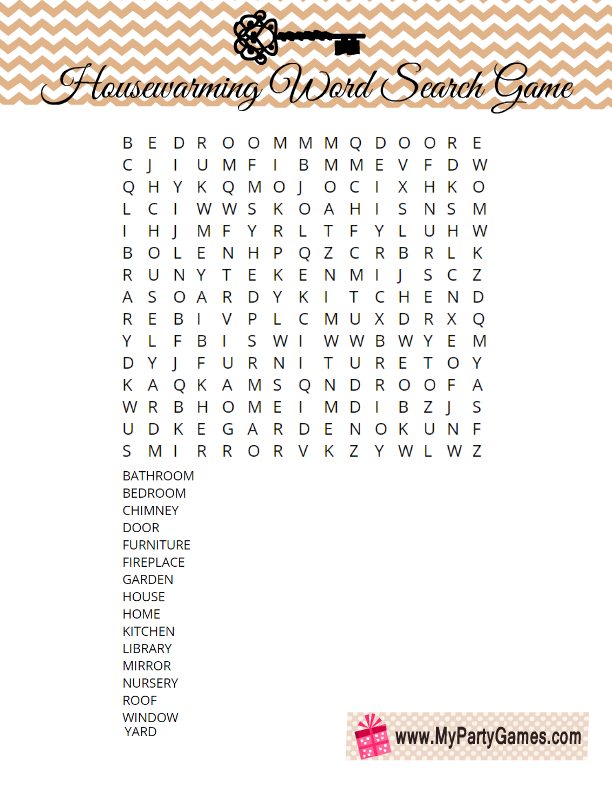 This will be a fun activity for your housewarming party and a great way. 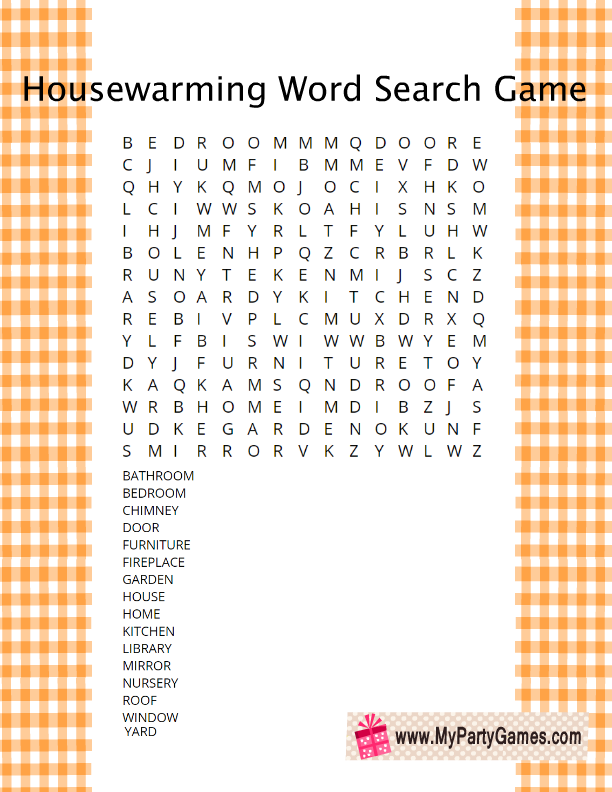 Distribute these housewarming word search cards among the players along with a pen. 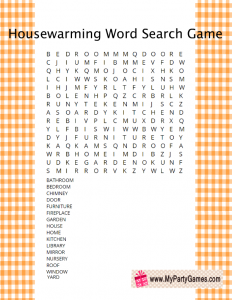 Ask the players to find all the home-related words in the puzzle and circle those. 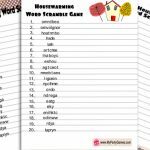 There are 16 home-related words given in the puzzle and players will find the words written either horizontally, vertically or diagonally. 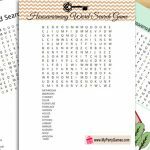 The person who finds all the words first will be the winner. 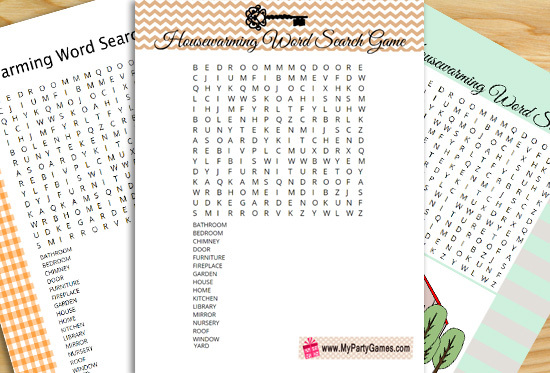 This is the first free printable housewarming word search puzzle that I have created for you. 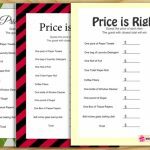 This free printable game image is decorated with a chevron pattern and a silhouette of a key. Just click on this thumbnail image and a bigger image will open up, right click and save that image. This is the second free printable image for this game. 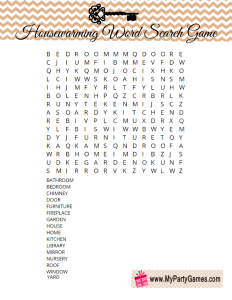 This beautiful game printable is decorated with the image of a house and trees. 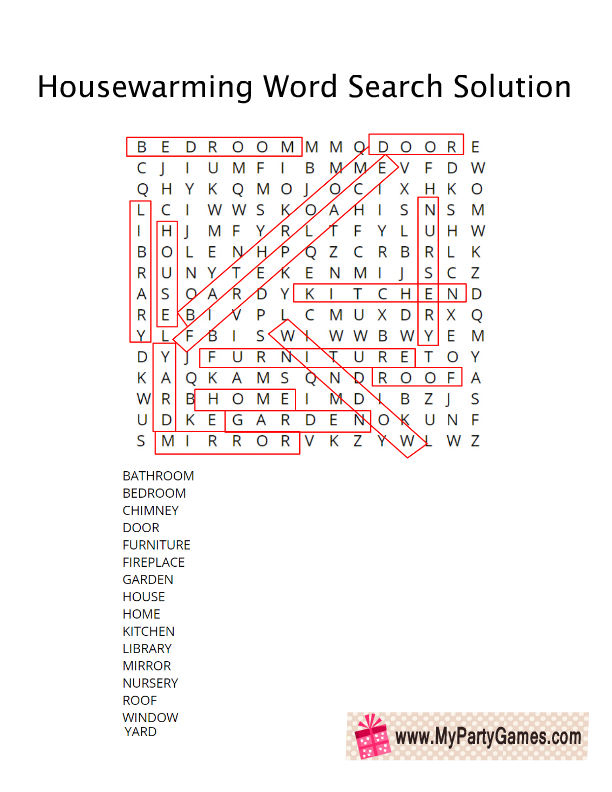 It has the same puzzle and words list as shared above but the design is different. 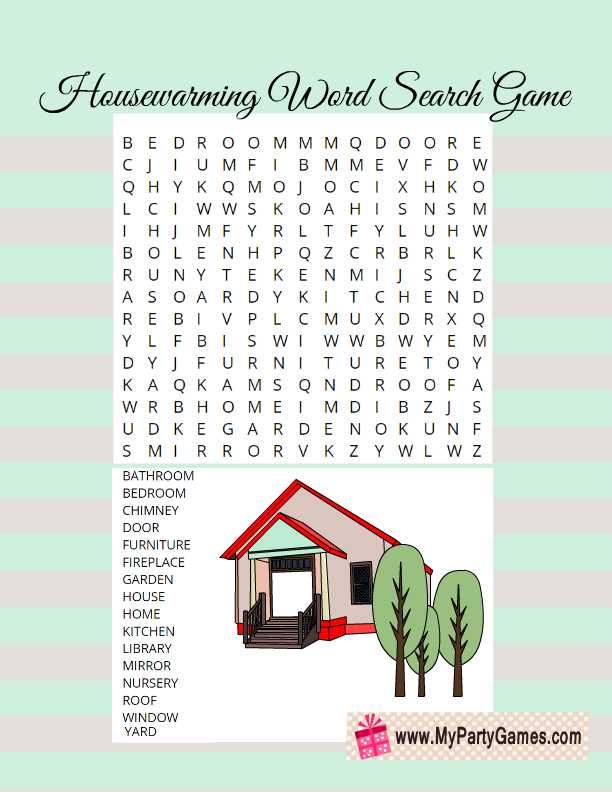 This is the third Free printable for this housewarming word search game. If you like this printable more, just click on the thumbnail image and then print or save the bigger image that will open up. 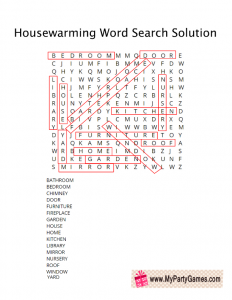 This is the printable solution for this word search puzzle. You will only need just one copy of it. I do not allow others to share my images on their websites or blogs but you can Pin the images on Pinterest and leave a comment if you liked my games.